Bacterial factors are important in the pathogenesis of acne. 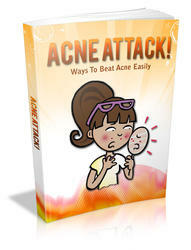 Acne is believed to be associated with Propionibacterium acnes (18). The improvement in acne patients treated with systemic antibiotics effective against P. acnes, as well as other organisms, support this concept. The morphogenesis of acne lesions can be divided into two phases. The first phase is noninflammatory, during which keratin accumulates in affected follicles producing whiteheads (closed comedones), which have very small orifices, and blackheads (open comedones) which have distended orifices. The second is an inflammatory phase during which a variety of inflamed lesions may develop from a proportion of comedones. P. acnes is known to be related with the inflammatory process in acne lesions (18), Propionibacterium spp. possess immunostimulatory mechanisms such as complement activation, stimulation of lysosomal enzyme release from human neutrophils, and production of serum-independent neutrophil chemotactic factors (19). 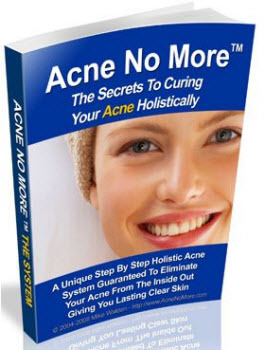 Organisms other than P. acne may contribute to the inflammatory process. A recent study highlighted the polymicrobial nature of over two-thirds of culture positive pustular acne lesions and suggests the potential for pathogenic role of aerobic and anaerobic organisms other than P. acnes and Staphylococcus spp. in acne vulgaris (20). These include Peptostreptococci and anaerobic gram-negative bacilli such as Porphyromonas and Prevotella spp. (20).